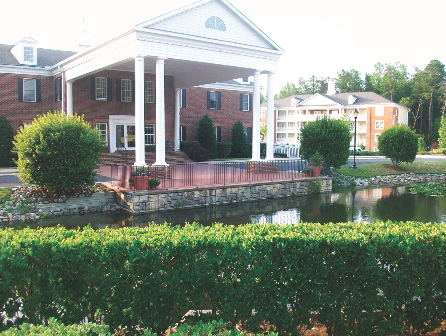 Interval International , and Orange Lake Resorts, home to the Holiday Inn Club Vacations® brand, today announced they have entered into a multi-year affiliation agreement for Colonial Crossings Resort in Williamsburg, Virginia. Colonial Crossings currently features 120 spacious one-bedroom units complete with fireplaces, modern kitchens, and balconies. On-site amenities include a fitness center, outdoor swimming pool, free Wi-Fi, and daily resort activity programs. Visitors also can enjoy the area’s fine dining, shopping, and entertainment offerings. The family-friendly spot is most renowned for Colonial Williamsburg, the oldest and, at 174 acres, largest outdoor living-history museum in the United States. Just 8 miles from the property, it is considered by many to be the nation’s first theme park. Two other well-known attractions are nearby: WaterCountry USA and Busch Gardens. The resort maintains a concierge service to assist vacationers in taking full advantage of all the leisure options. redeem their points for stays at other resorts in Interval’s global network. Colonial Crossings members also will become Interval Gold® members, and enjoy a number of upgraded benefits such as discounts on Getaway vacation rentals; ShortStay Exchange®; Interval Options®; Hertz Gold Plus Rewards® membership; Entertainment® discounts; and VIP ConciergeSM for personal assistance, 24/7.